How is the Tarpon Fishing in Playa del Carmen? Tarpon Fishing in Playa del Carmen may be proven difficult as options for fly fishing in this area is quite small. Instead, the best thing where a decent amount of fish population thrives is the island of Cozumel. Contrary to popular belief that Cozumel is only a place for divers, snorkelers, and beach lovers, this island also welcomes the anglers warmly, be it experts or novices. Fly fishing near playa del carmen is a must-do because it houses three big lagoons in the northern part. The lagoons are known for its abundant fishes, including the Tarpon. If you are a Tarpon fish lover, then fishing in Playa del Carmen or Cozumel should be the perfect relaxation getaway for you. Why is Cozumel your best option for Tarpon Fishing near Playa del Carmen? The three lagoons of Cozumel, namely, Rio de la Plata lagoon, Paso Balem lagoon, and Monte Cristo houses an abundant species of fishes - from the best bonefishing to the hard to catch Tarpon. Many tourists choose to fish in Cozumel because the location is easily accessible and there are many legit websites selling tours for affordable prices. It is also near tourists' areas such as Cancun and Playa del Carmen. If you are coming from these places, all you need to do is ride a boat or ferry going to the island of Cozumel, which takes roughly 35 minutes. How is the Tarpon Fishing experience in the Riviera Maya? Whether you are an expert or a novice angler, you will find Tarpon fishing very calming yet entertaining. The lagoon's shallow waters allow for wading in the water while fishing, which makes it easier for you to see schools of fish that you are targeting to catch. The lagoons are easily accessible by Mexican pangas, small boats that can navigate even in the shallow waters. You need the help of an experienced fly fishing guide because Tarpons are challenging to find. Your manual should know where Tarpons usually live and during what months they are plentiful. 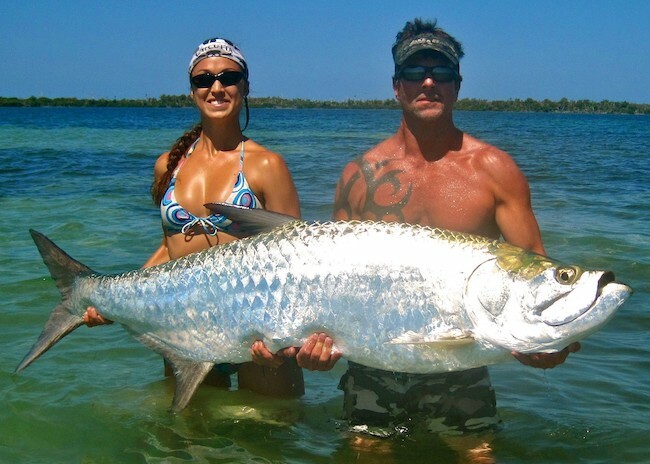 What are other facts about fishing Tarpon in Cozumel? Tarpons are fast and unpredictable making them difficult to catch, that is if you have spotted them already. As previously mentioned, Tarpons don't dwell in the significant areas of the lagoon; unlike the Bonefish that is practically everywhere. Tarpons can be found hiding in the far reaches of the mangrove and shaded areas. The prime season for baiting them is during May, June, and July. During these months, you will be able to see Tarpons of about 8 to 20 pounds. However, it is common to see small ones all year round. When you finally bait a Tarpon, get ready for a semi-aerial fight, as Tarpons will try their best to get off the hook. Tarpon fishing in Playa del Carmen and Cozumel is fun and enjoying. Not only does it offer you a day of peace and relaxation while getting in touch with nature, but you will also get the opportunity to take home a big and prized Tarpon that you caught yourself. 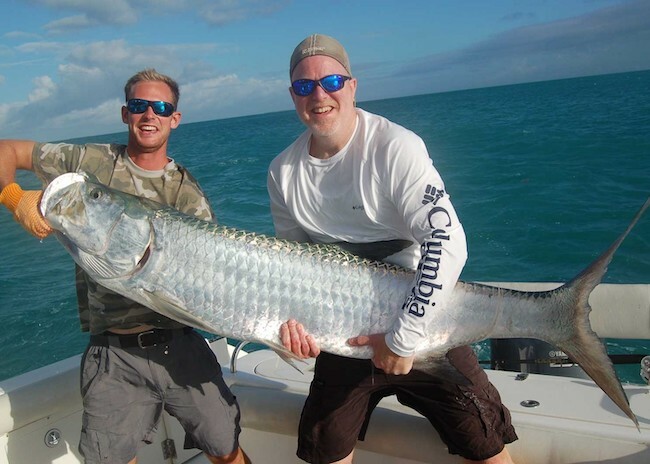 Catching a Tarpon is no easy feat; you should feel very proud if you are able to bait two or more.